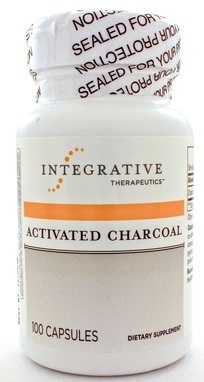 Activated Charcoal is highly porous and can adsorb unwanted substances,carrying them out of the digestive tract. To eliminate toxins in the body. Charcoal is taken as a cleansing agent. It is able to adsorb gases,liquid wastes and heavy metals.† As charcoal passes through the digestive system,it carries these toxins with it before they can be absorbed into the body. It’s a long-standing solution for detoxification. 12 points will be rewarded to you when you buy this item. Earn free products. Click on the green "i" for more information on our rewards program.